Edinson Cavani will miss the first leg of Paris Saint-Germain's Champions League last-16 tie against Manchester United with a hip injury. The Uruguay striker did not travel with Thomas Tuchel's travelling squad to Manchester on Monday for the fixture at Old Trafford. 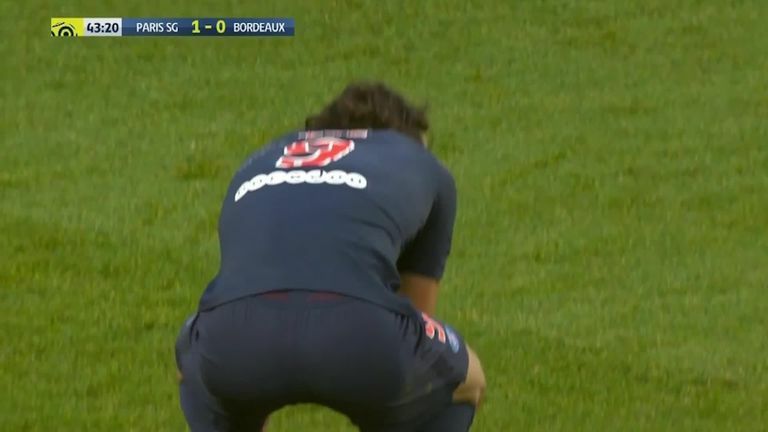 Cavani limped off in the French champions' 1-0 league victory against Bordeaux, after appearing to injure himself in the process of scoring a first-half penalty, with the club confirming on Sunday he had injured a tendon in his hip. The length of Cavani's absence is unknown but his unavailability is a blow to Tuchel, who is already without Brazilian star Neymar already sidelined for both legs of the tie by a foot injury. "Medical examinations have revealed an injured tendon in Edinson Cavani's right hip. The treatment of this injury and the length of his unavailability will depend on the evolution of the injury over the coming days, " a statement from the club said. PSG are also without defender Thomas Meunier after he suffered a light concussion following a heavy collision during the match against Bordeaux. "He will be unavailable until his next neurological consultation at the end of the week," read a club statement.